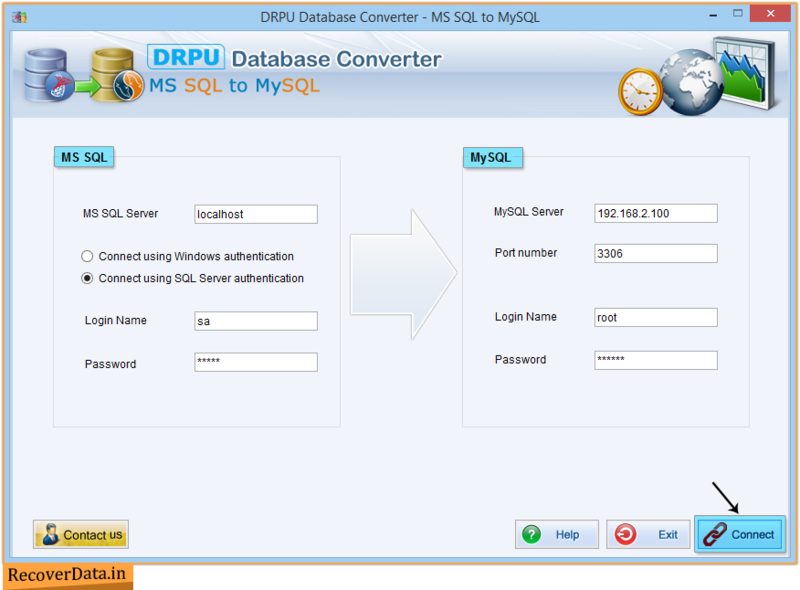 Run MS SQL to MySQL database conversion and enter left and right panel’s required field including MS SQL and MySQL server name, authentication mode, port number, login name and password. 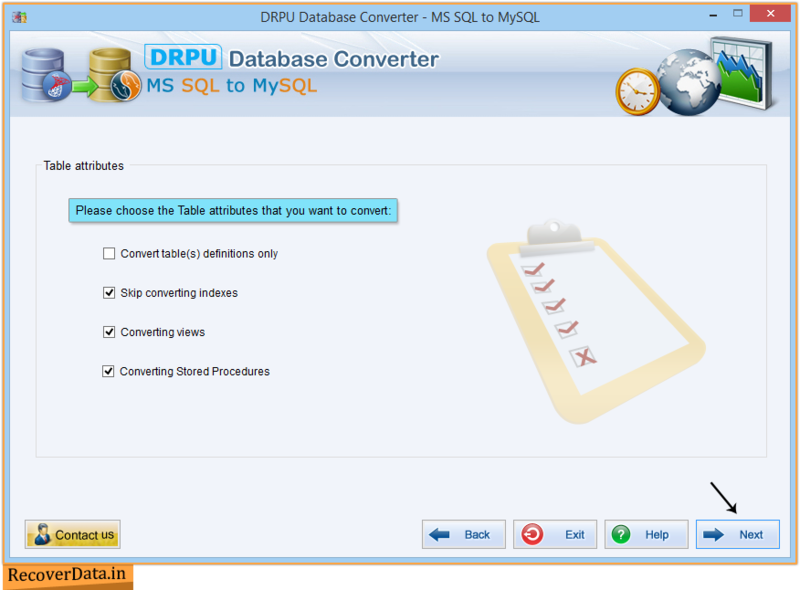 Choose the table attributes including converting views, converting stored procedures, convert table(s) definitions only and skip converting indexes to convert into MySQL server. 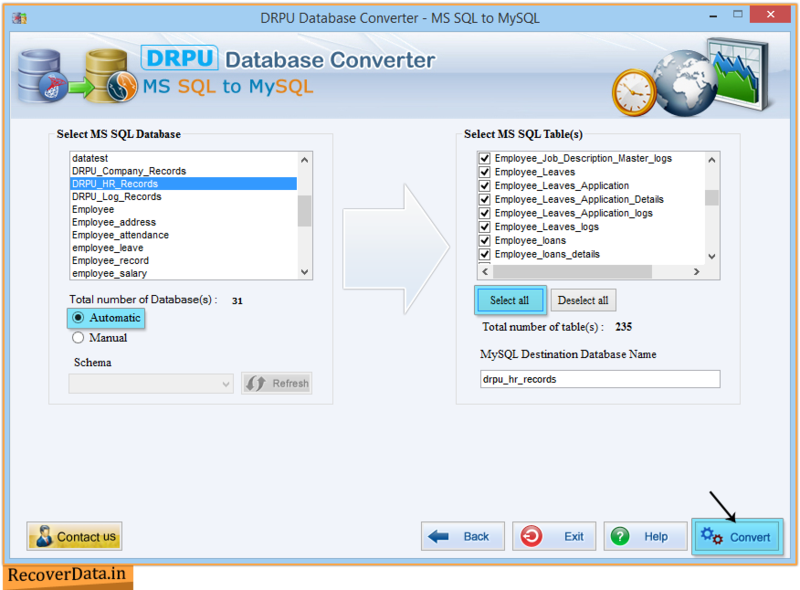 Choose MS SQL database with table(s) to convert into MySQL database with automatic option. 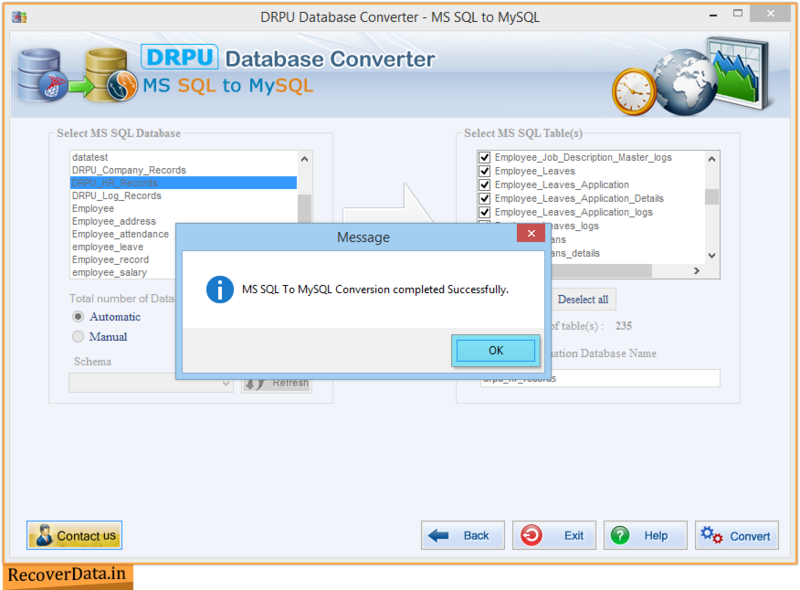 In case of automatic option, it will select schema automatically to convert it. 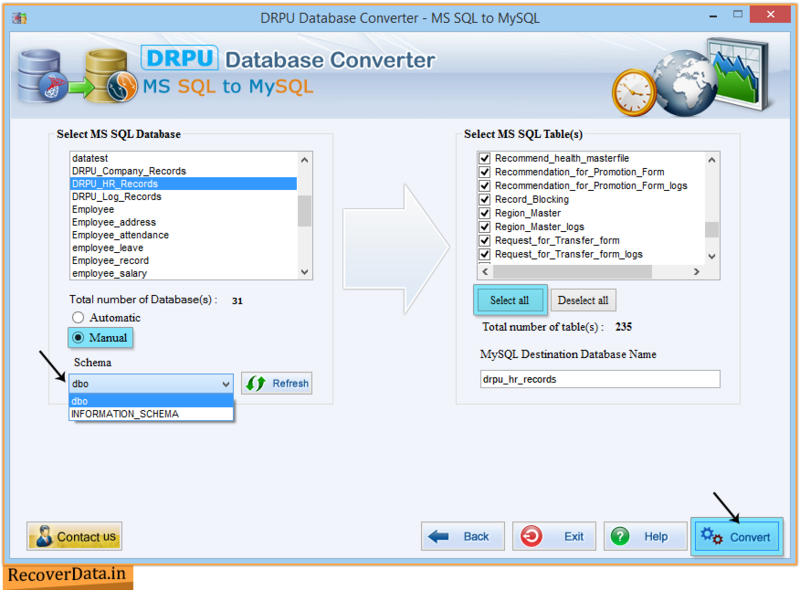 Go to Manual option, if you need to choose any particular schema to convert into MySQL database. 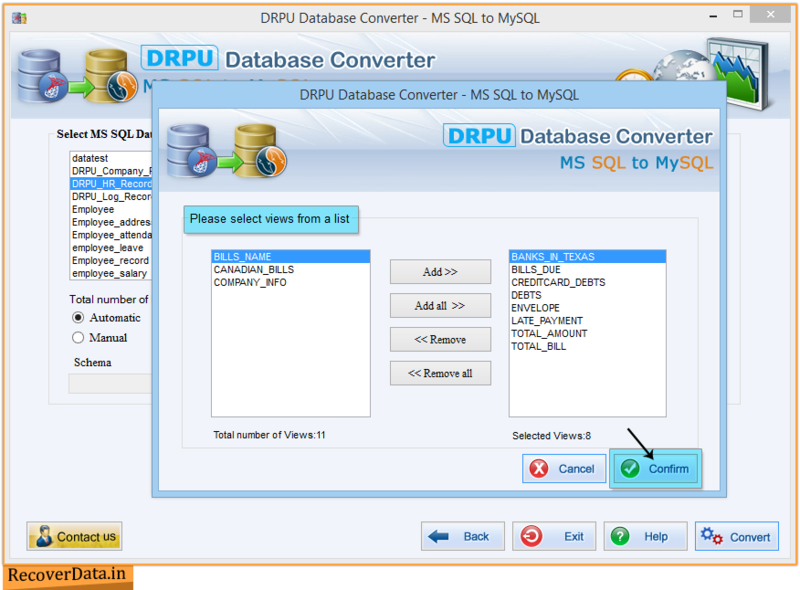 Above window shows database views list to choose from left panel and add it on right panel to convert it. 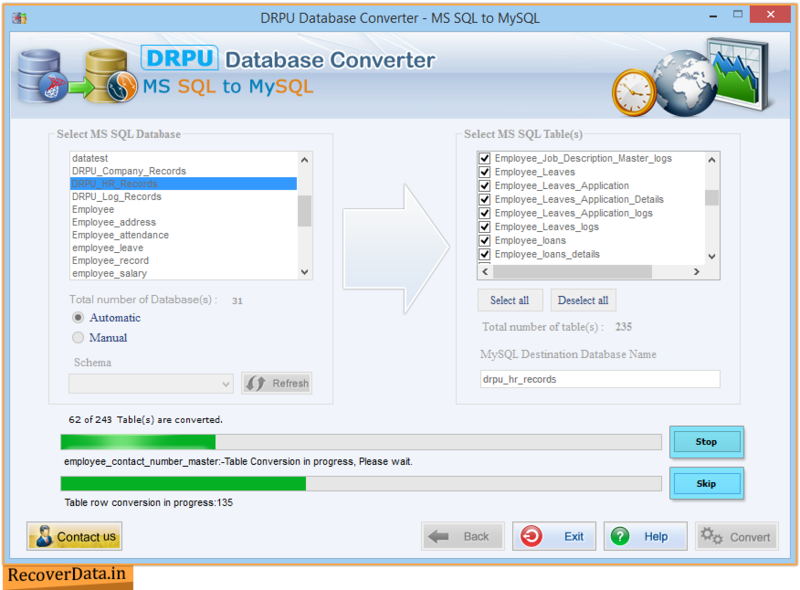 In above screen, DRPU MS SQL to MySQL Database Conversion in progress.